Huawei is the latest manufacturer to join in the phablet race and it sets its sights on the Galaxy Note II, Oppo Find 5, Optimus Vu and the Pantech Vega R3. The company just unveiled the Ascend D2 and it's been showcased in China and promised to bring it to the (local) market in early 2013. 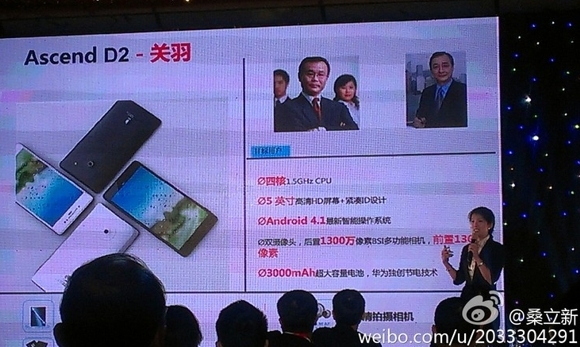 The highlights of the Huawei Ascend D2's specs sheet include a 5" screen of an unknown resolution, a quad-core processor with four 1.5 GHz cores (probably the home-backed K3V), a 13 MP snapper on the back and Android 4.1 Jelly Bean installed. There's also a 1.3 MP front-facing camera and 3000 mAh battery. Huawei reached, wanting to make an official statement on the matter. Here it goes. 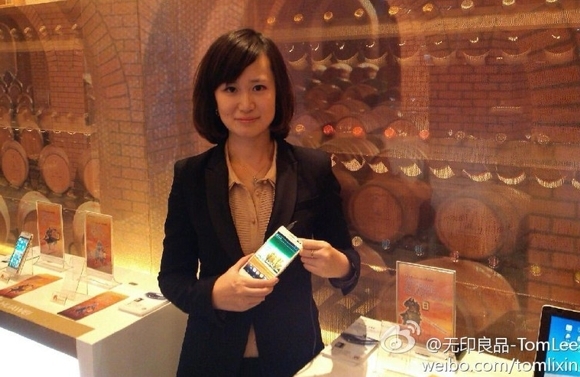 “A number of articles in the past 2 days have reported on the product information and availability of Huawei Ascend D2. While we are very excited about Huawei Device’s new hero product line in 2013, some of the product details from anonymous sources are incomplete and inaccurate. Ideally we would also have learned which bits exactly are inaccurate, but we unfortunately we'll have to play the guessing game for a few more months.